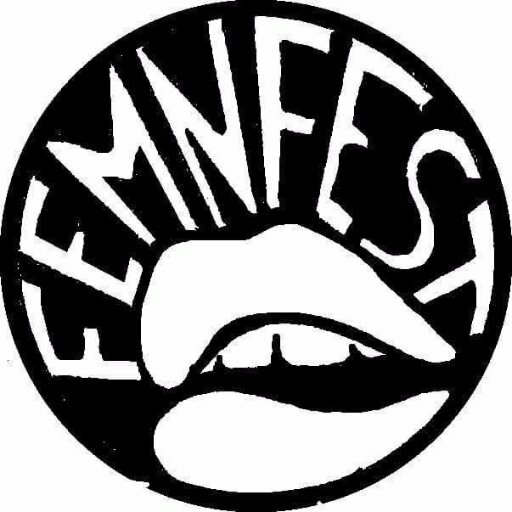 I recently interviewed the organizers of the upcoming FEMN Fest over email to discuss the new festival, its mission and the importance of representation of women, fem and non-binary individuals in music. An unapologetic feminist festival. FEmn Fest centers and features people that are women, fem, and/or non-binary identified. It is fully comprised of (and entirely run/operated by) all of these identities and feminist allies. All are welcome. Mission: To seek and promote gender balance in the arts industry by displaying dynamic diverse representation, increasing visibility, and amplifying underrepresented voices. The idea came from the fact that women are such a dramatic minority in the festival scene (and in music in general). We wanted to have an event that would counteract that. We also wanted to have an event that would allow us to celebrate ourselves, more empower ourselves and learn/practice self-care. How will the application process be set up? There is a link on www.femnfest.com where artists, vendors, volunteers and people who want to partner with us can apply/reach out. We will go through these and select whom will make FEmnFEST the most well-rounded, diverse, and intersectionally feminist festival. How many acts are you hoping for? We will have programming for 2 half days and 1 full day (Friday-Sunday). We are going to try and fit as much music in that time as we can, while also covering all of the workshop desired. We have a comprehensive marketing plan through digital and traditional methods. We’ll be partnering with organizations for outreach, advertising through social media, search, and email. Additionally, we aim to do some radio, and hosting a few events leading up to the festival. Will you be selling tickets? We intend on selling tickets online in advance, retail in advance, and at the site (unless we sell out!). Will performer’s be just MN local? We have not decided on this yet. What are you going to say to those think this is sexist? First, it isn’t our job to educate you. But since we want to, reverse sexism isn’t a thing. The dominant gender/race/etc. cannot be subjected to the ‘ism. If [people] were to say, “we should all be equal, that’s why this is bad” (which we’ve already been getting…). Our response is: we agree. We SHOULD all be equal. But until people start treating women/women-identifying people like we are equal to men (because news flash, we’re not), we’re going to have to work a little harder. That’s what this festival is. Us showcasing ourselves. To show that we can do it, without the dominant gender, because, yes, we are equal. And we are not getting equal representation. To quote our mission: we seek and promote gender balance in the arts industry by displaying dynamic diverse representation, increasing visibility, and amplifying underrepresented voices. What experiences made you want to create this festival? All organizers can speak to different occasions and personal stories.. But collectively there was a feeling that this must happen. We need to have a fest of purely women. Because we can. And it would rock. How do you think the Duluth scene is towards treating women / female identifying people? What do you think needs to change? Sending all of my ❤️️❤️️❤️️ and thanks to the ladies of Facebook who have been sharing their experiences and frustrations of sexism in our community. Especially with the boy’s club of the music scene. In all of the experiences and let downs that come with trying to build something out of nothing with Ellipsis, nothing has made me more frustrated and driven me so close to throwing in the towel like the way so many men react to what I do. Why they give a damn about what I do or how I do it (since I’m not stealing their jobs or causing them any harm), I have never understood. I have always appreciated people who have put together events telling me what has worked for them and offering suggestions… but it’s frustrating to not only have things straight up “mansplained” to me (especially after several successful events under my belt) but literally being told to, “slow down, little girl. Don’t think yourself bigger than you are” when I have a vision of what I would like an event to be. I’ve been doing this for 3 years now. I have put together many successful events. 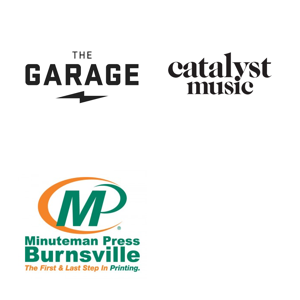 I have worked with and gotten praise from not only big name acts from Duluth, but all over the state. Music and community organizations and businesses throughout Minnesota are paying attention to what I am doing and reaching out to work with me. This idea that I (and other women involved in all different parts of the music community) aren’t able to do it as well as the boys is ridiculous. No one else was doing what I am doing now. And to all the men who may be doing SIMILAR things, I promote ALL OF YOU. Calm down. Don’t be dicks. I’ve only ever tried to pump you guys, your projects and events up. Stop talking down to me (and other women) because you don’t seem to think we’re worthy of being here. And sending even MORE ❤️️❤️️❤️️ to the ladies who know exactly what I’m talking about. You’re all babes and awesome for not letting this discourage you enough to stop doing your thang. However much I wish we didn’t have to post things like this, I love you all for letting me know it’s not just me. What are you most excited about with FEMN Fest? The organizers of FEmn Fest are excited for the fest for many reasons, but if we had to choose… we’re excited for the community building element. We predict the weekend will feel like a huge family reunion. What do you hope for the festival in the future? We intend to continue this festival annually. We have lofty goals but currently are focused on making this year’s a great success and achieving the requests in our initial survey’s results. Tune in to our weekly videos to hear the answers.